Mankind has moved into space. Thousands of people live on giant orbiting space colonies called Sides. However, the Earth Government, which rules the colonies, is unjust and cruel. A group of revolutionaries build five robotic weapons called Gundams and plan to send them to Earth to begin their fight for independence. Piloted by five young men, these Gundams carry the colonists' hopes and dreams of freedom with them as they descend to Earth to begin Operation Meteor! 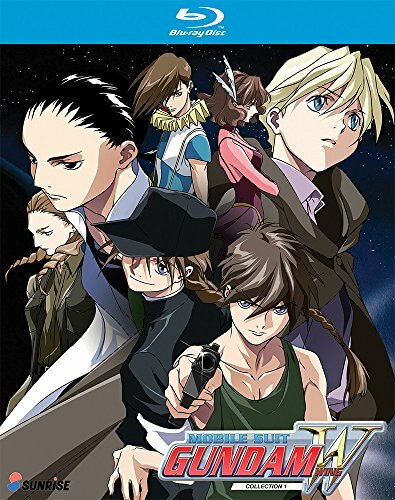 Mobile Suit Gundam Wing Collection 1 contains episodes 1 25. Features: Clean Openings 1 and 2, Clean Ending. Audio: Japanese LPCM Stereo, English LPCM Stereo, English subtitles.